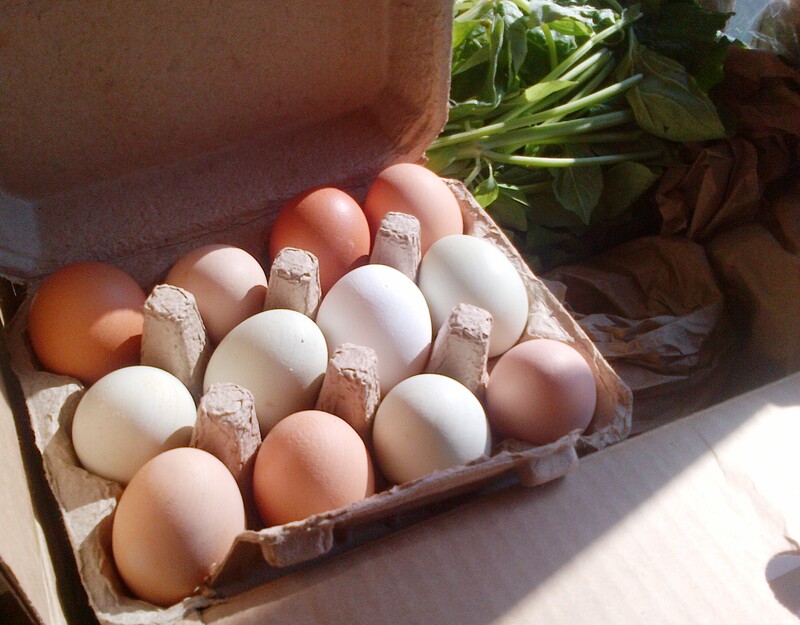 My second CSA basket arrived today – and now I’m receiving fresh eggs (yay!). For dinner, I sauteed kale* in olive oil, covered it with basil*-walnut pesto, topped with one of these lovely eggs*, sunny-side up, and sprinkled with freshly ground pepper. For dessert, I baked plums* in a ramekin topped with a phyllo crust. Fresh and delicious. This entry was posted in Recipe and tagged basil, Community Supported Agriculture, cooking, CSA, dessert, dinner, eggs, food, food nerd, kale, Life, menu, pesto, plums, random, thoughts, vegetarian by Julie "Phoren" Seyler. Bookmark the permalink.